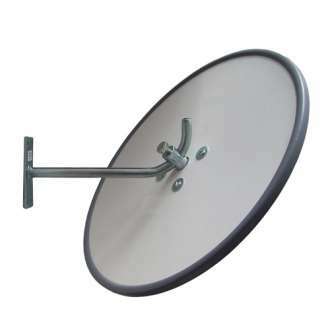 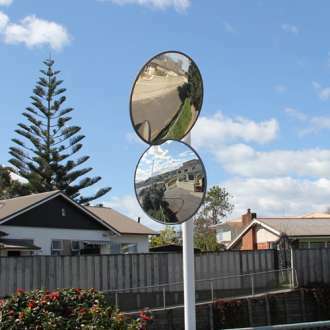 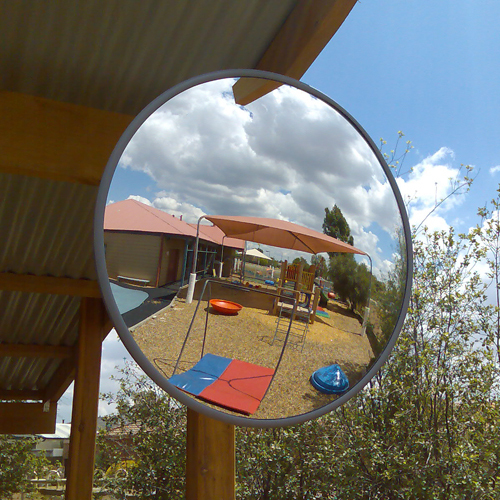 The 600mm Outdoor Heavy Duty Convex Mirror is weather proof and designed for general outdoor areas which are not exposed to harsh environmental conditions, such as high winds. 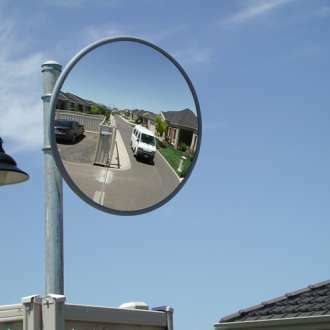 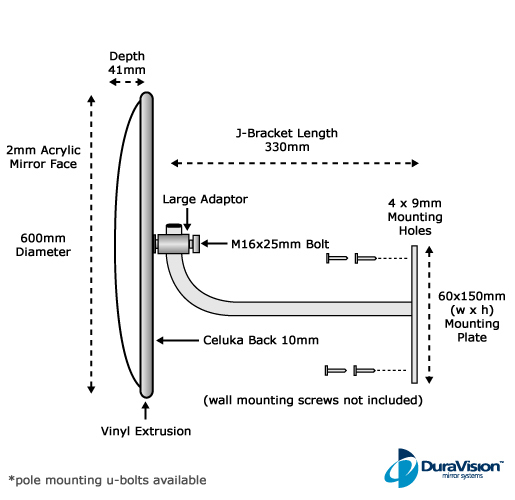 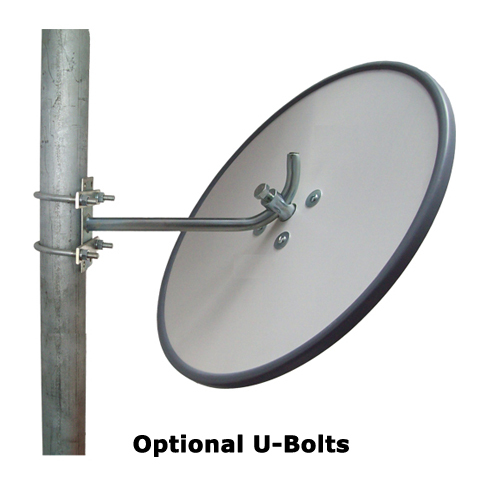 The outdoor adjustable bracket is built to last and the specialized curve design is formed from optical grade 100% virgin acrylic and vacuum metalized from 99% pure Aluminium for a superior clear reflection with no distortion. 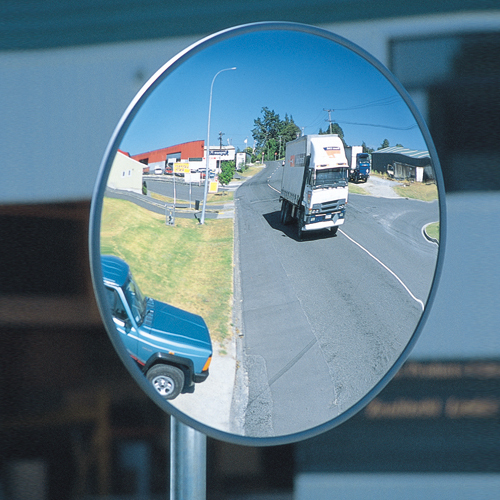 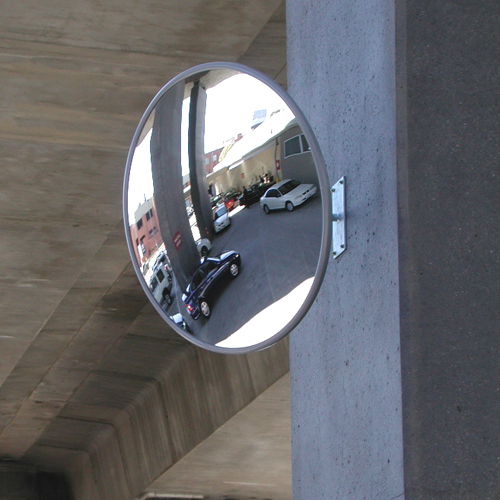 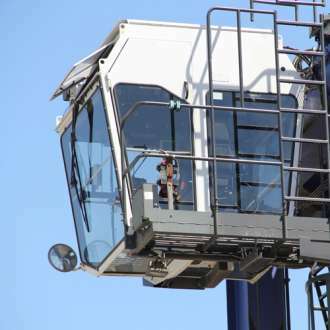 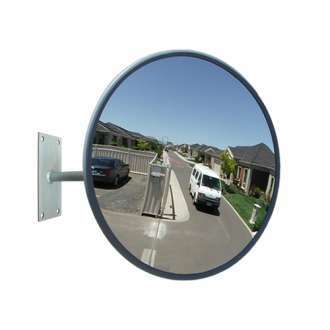 Suitable for many outdoor and industrial situations, this outdoor safety mirror is easy to install and the fully adjustable bracket allows the mirror to be angled at the most effective position. 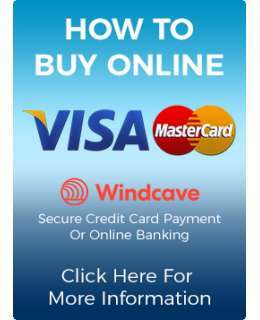 (This medium sized mirror is not recommended for high speed traffic situations and should only be installed to view moderate speed traffic at a medium distance).